Wireless charging and water resistance. Better audio playback and recording. New photo and video features. Even voice-recognition unlock. This phone is packed. 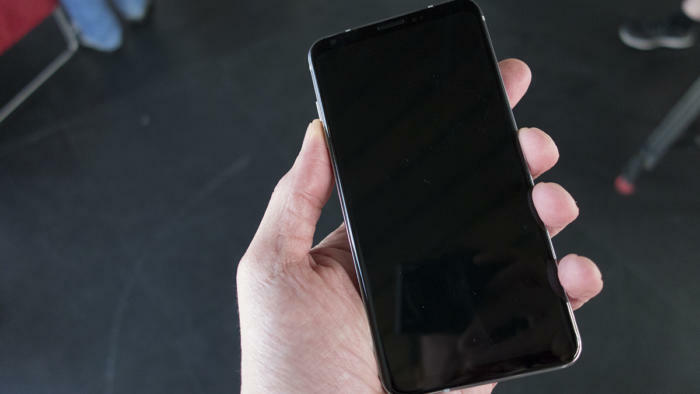 LG has officially unveiled the V30, its 6-inch flagship phablet, and the phone is conspicuously missing two mainstays of the company’s V line: a removable battery and LG’s so-called “second screen.” The new direction could turn off LG diehards, but they can rest assured that the V30 has every other feature imaginable. 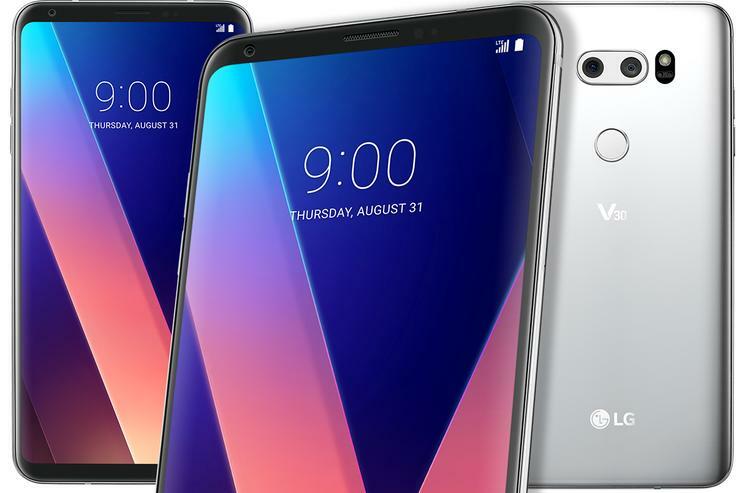 From its new display to its camera to its processor, everything about the V30 has been upgraded over both 2016’s V20, as well as the G6, a 5.7-inch flagship from this year. On paper alone, the V30 is a very intriguing phablet, but it still faces a tall order: Convincing enough people to buy it over the Note 8 and upcoming Pixel 2. Like Apple, LG has resisted the OLED trend in smartphone displays, but that’s not the case anymore. The V30 features a 6-inch P-OLED Full Vision display with the same 1440x2880 resolution and 18:9 aspect ratio introduced with the G6. LG is touting the display’s durability as much as its color gamut: The “P” here stands for plastic, so it won’t shatter as easily as other phones, and LG is also using rounded display corners to help diminish the possibility of cracking. And to top it all off, the whole thing is covered by Gorilla Glass 5. LG says the V30 is more resistant to cracks than the V20. Surrounding the display are far slimmer bezels than what we saw in the V20—20 percent slimmer at the top and 50 percent slimmer at the bottom. That sleekness also extends to the back of the phone where you’ll find a smooth, all-glass panel with a metallic sheen, and a much smaller dual camera array with a less pronounced bump. And, of course, the fingerprint sensor/power button remains right in the center, per LG tradition. The left side of the device houses a pair of volume buttons, and along the bottom there’s a speaker and a USB-C port. And don’t worry, a headphone jack can still be found on the phone’s upper edge. Like other premium phones, the V30 is powered by a Snapdragon 835 processor, and you’ll also get 4GB of RAM, a 3,300mAh battery, and either 64GB or 128GB of storage. And the V30 finally brings water resistance and wireless charging to the V line, thanks to the removal of the removable battery. But where the V30 starts to separate itself from the rest of the Android pack is in what you can do with it. There’s the headphone jack—on the top edge. Along with the headphone jack is a 32-bit Advanced Hi-Fi Quad DAC powered by ESS’s Sabre ES9218P. High-fidelity music playback is nothing new to V20 users, but there are now four presets to customize your listening experience. The V30 also includes support for MQA streaming, a big plus for people who subscribe to a service that streams in the high-fidelity format. On the recording end of things, the V30 includes a pair of high-performance microphones at the top and bottom of the device, but it can now also use the audio receiver as a third microphone. This allows the phone to record a wider range of sounds and help prevents the clipping suffered by conventional mics. LG’s V phones have always been geared toward content creation, so it shouldn’t be a surprise that the V30’s cameras are a big deal. You get a 16-megapixel main sensor that uses a “crystal clear” glass lens rather than a traditional plastic one, along with a 13-megapixel wide-angle secondary sensor. The camera array on the V30 is smaller and less bumpy. Unlike the Note 8, which offers optical image stabilization (OIS) in both cameras, you’ll only get OIS in the V30’s main camera. 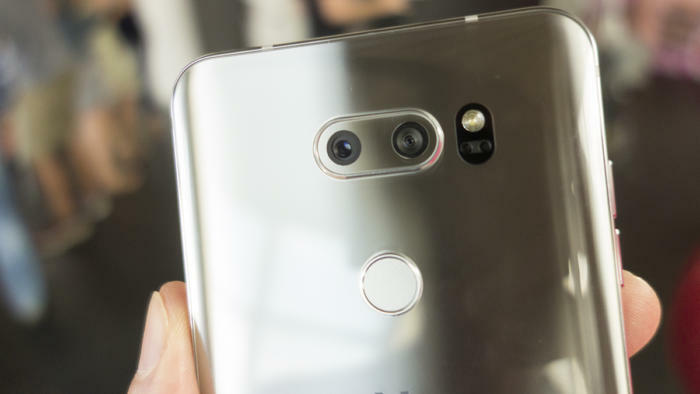 But on the plus side, the f/1.6 aperture on the V30’s main camera is the fastest in a smartphone so far, and LG says it will deliver 25 percent more light to the sensor than the f/1.8 in the V20 and G6. 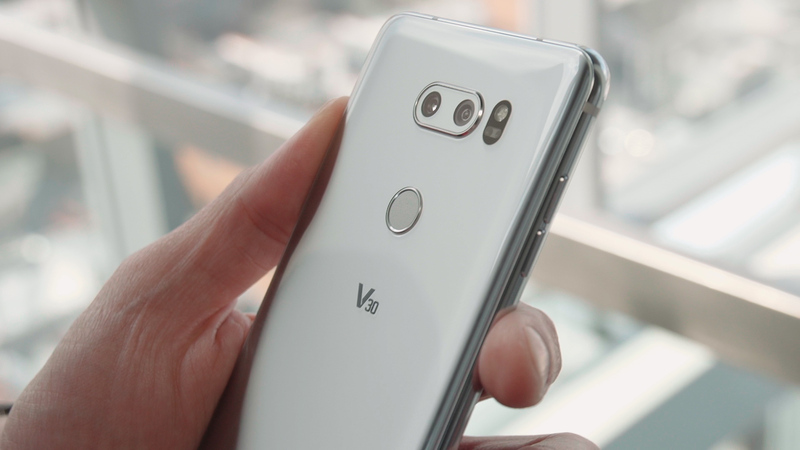 While low-light photos should shine on the V30, you may get more excited about video features, as LG has packed its already awesome camera app with new options aimed specifically at videographers. The premier feature is a new Cine Video option that introduces fancy color grading to smartphones. 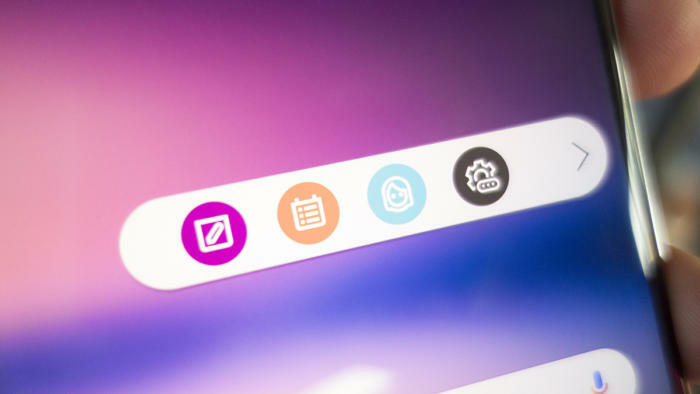 Like photo filters but cleaner and more subtle, you can apply a series of screens to your videos that will create just the right mood for your creative vision. For example, Historical will give your video a sepia-style hue to give the illusion of an old-time reel, and there are several others to choose from, including Noir and Romantic. Another cool feature is Point Zoom. Basically, it lets you pick a point on the screen for the camera to focus on, and then when you zoom in, it will stay locked on that area instead of the center of the screen. And once you’re done shooting, you’ll be able to use a new Quick Video Editor to edit a full movie right on your phone. Fans of LG’s second screen will be happy to know that LG hasn’t abandoned the concept completely. Among the new features in LG’s UX 6.0+ skin is a Floating Bar toggle that adds a semi-transparent bubble to the side of the screen. Tap it and it’ll expand to reveal a string of app shortcuts, music controls, and contacts. It can be customized just like the second screens of old, but unlike those stationary displays, the V30’s Floating Bar can be moved anywhere you want. The second screen is now a virtual floating bar. There are also new biometric options for unlocking the phone. 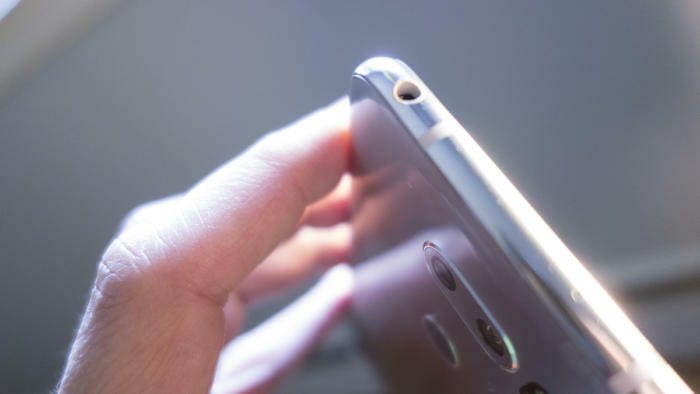 Along with the fingerprint scanner, there’s front-camera facial recognition and even voice recognition. Like Google Assistant, you can teach the V30 to recognize your voice when uttering a specific unlocking word. The V30 will always be listening for your cue, even when the screen is off. And speaking of voice commands, you’ll also get some exclusive Google Assistant features with the V30, mostly related to the camera. You can ask to “record a video” or “take a manual photo” and it will launch the camera in the proper mode. LG has not yet announced pricing or availability for the V30.